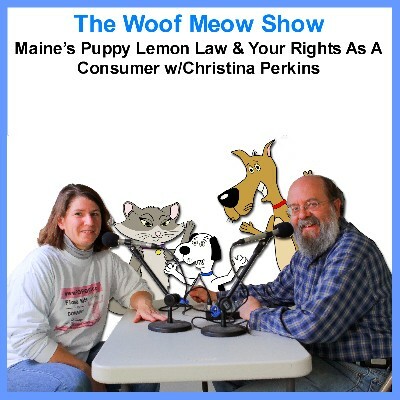 In this weekend’s episode of The Woof Meow Show Kate and Don interview attorney Christina Perkins about Maine’s puppy lemon law and your rights as a consumer when you purchase a pet. While getting a new pet usually goes very well, occasionally people have a bad experience when purchasing a new pet. This can happen when getting a pet from a pet store, a breeder, and even when getting a pet from a shelter or rescue. In this show, we address consumer’s legal alternatives when things do not go as you wanted. On Wednesday, October 14th, Green Acres Kennel Shops Operations Manager Kate Dutra and I had the opportunity to address the Maine Federation of Humane Societies at their annual conference. I want to thank Maine Fed and all of the attendees who work so hard every day to take care of Maine’s homeless and sometimes abused pets. Your job is not an easy one, and you never get enough thanks, so THANK YOU! My presentation Understanding Behavior; Why It Matters, focused on why being knowledgeable about canine behaviors is so important to the work you do every day. I have posted a summary of what I talked about so that those who were unable to attend can find it here. As I explained, I believe having a fundamental understanding of canine behavior is essential to every pet care professional and even the average dog owner. Most dog training classes focus on teaching owners how to train their dog to sit, walk nice on a leash, come when called and other basic manners. At Green Acres’ we have always felt classes should cover more, which is why we also discuss canine behavior, body language, and nutrition. I believe that if we are going to successfully and happily live with another species in our home, it helps to understand them and why they do what they do. Unfortunately, outside of Green Acres’ I have often felt that our message was falling on deaf ears. Therefore, when the American Animal Hospital Association (AAHA) issued their Canine and Feline Behavior Management Guidelines in August of this year, I was ecstatic! This groundbreaking document acknowledges that behavioral problems are one of the top health issues for pets and recommends that every visit to the veterinarian should also include a discussion of behavioral concerns. It also discusses why behavior problems so prevalent. 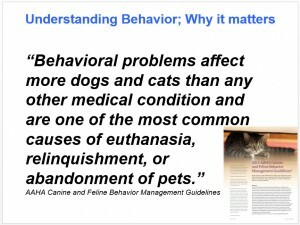 The AAHA guidelines note that a significant reason for behavior problems are “Mistaken or misinformed beliefs…..” about canine behavior being perpetuated by breeders, pet care professionals, pet owners, and even humane societies, rescues, and shelters. 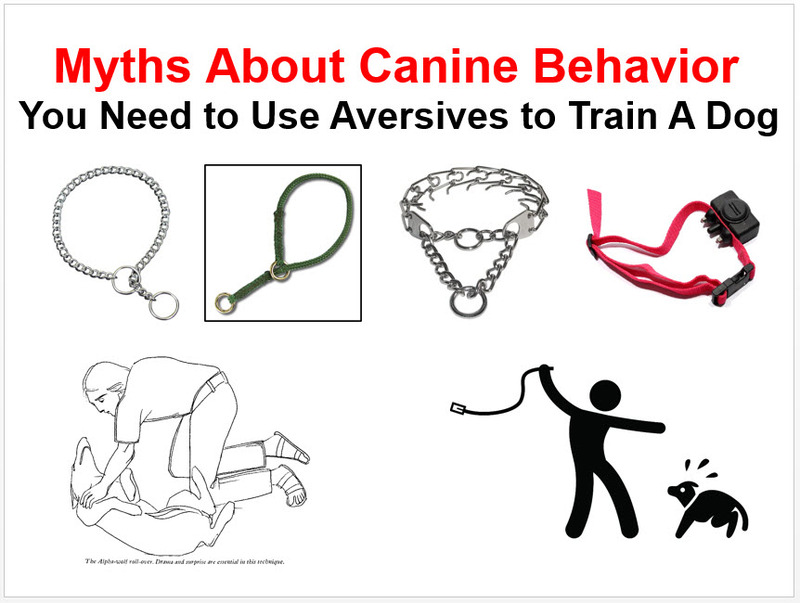 The use of aversive training techniques and tools like; alpha rollovers, choke collars, prong collars, and shock collars, also are often the cause of behavior problems. When these methods are used to “correct” a problem, the animal often becomes fearful and exhibits more problem behaviors. Although not noted in the guidelines, other studies indicate that only about 5% of dog owners ever take their dog to a training class. 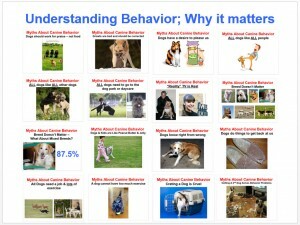 Training a dog with reward-based techniques almost always prevent behavior problems from starting, I see very few dogs for aggression consults that have completed a training class. It would be in a shelters best interest to strongly encourage all adopters to take their dog to a training class if they want to minimize returns. 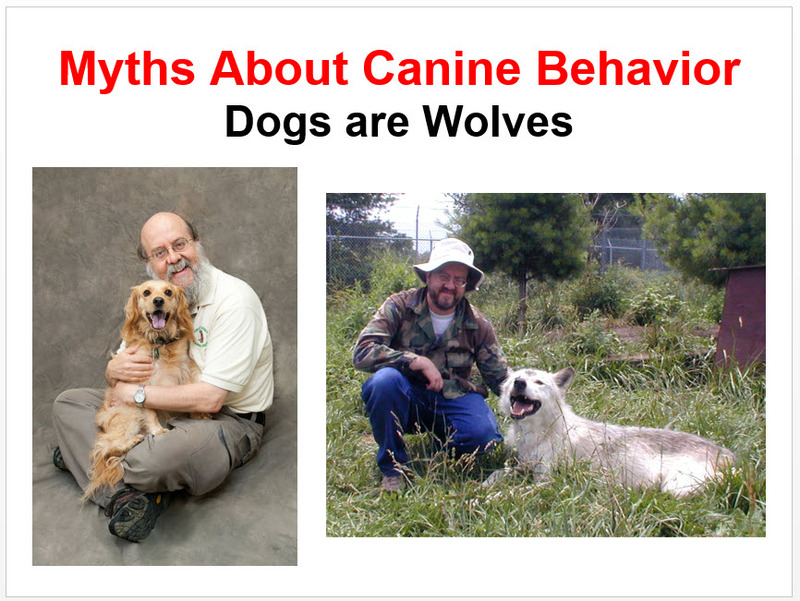 As I noted above, a major reason for behavior problems in dogs is the perpetuation of misconceptions and erroneous information about what constitutes normal canine behavior. For many, their knowledge of dogs is based on idealized notions about dogs that go back to Rin Tin Tin and Lassie. 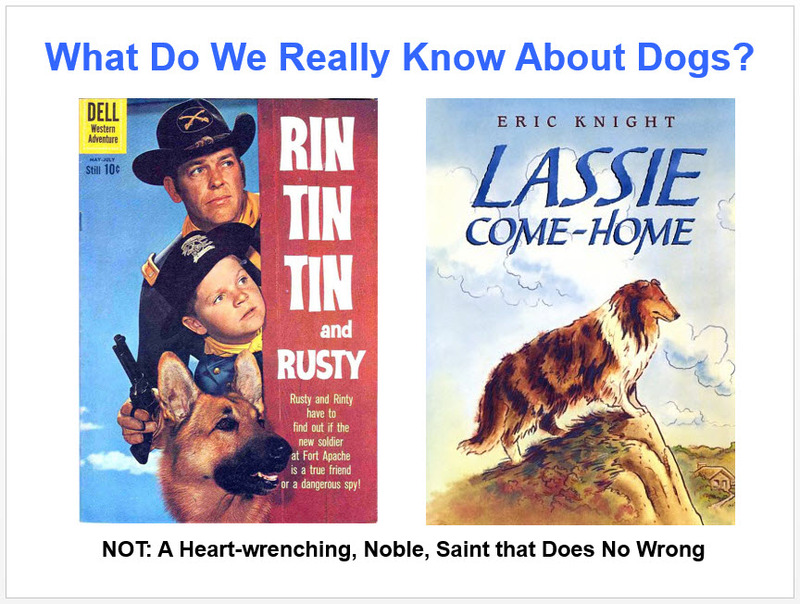 Portrayed as “canine perfection” in books, comic books, television shows and movies, Lassie and Rin Tin Tin were the dogs everyone wanted as his or her pet. Unfortunately, these brilliant pieces of heart-wrenching fiction have created unrealistic expectations for many first-time dog owners. When we expect a dog to be Lassie, we are setting them up to fail. 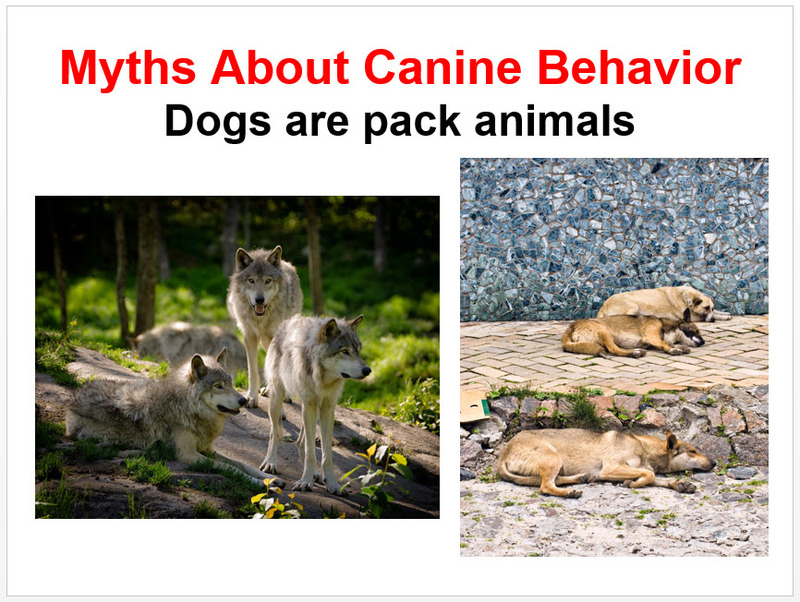 To stop or at least decrease the circulation of these myths about dog behavior, I want to discuss what I believe to be the four most damaging myths about dogs. 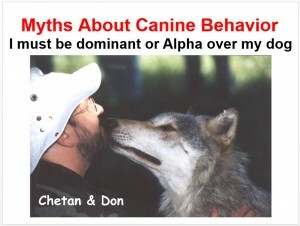 These myths are 1) dogs are wolves, 2) dogs are pack animals, 3) one must be dominant or Alpha over their dog and 4) you need to use aversives to train a dog. Then I will address two vital truths; aversive techniques and tools are detrimental to training a dog and dogs benefit from being trained. I am fortunate in that I have had an opportunity to live with a wide variety of dogs. Additionally, through my work and my client’s dogs I have learned even more. Learning about wolves at Wolf Park in Indiana did teach me a great deal about wolves; however, the most important thing I learned is that dogs are not wolves. Wolves, coyotes, and domestic dogs are biologically the same species; that means they can successfully reproduce and give birth to offspring that can also reproduce. While these three canines had a common ancestor at one point, they started down different evolutionary paths tens of thousands of years ago and from a behavioral perspective are very different. The myth about dogs being wolves has also led to their being misidentified as pack animals. A wolf pack is like a family. It is made up of mom, dad, the pups and often pups from previous years. Like most families, they have some squabbles, but overall they work cooperatively to perpetuate the families genes. The domestic dog, when living outside of a home, is very different from the wolf. They do not live in family groups, but at best form loose associations with a few dogs. They may hang around together every day or only occasionally. While mom and dad raise the pups together in a wolf pack, the domestic dog dad does not stick around for any family chores. 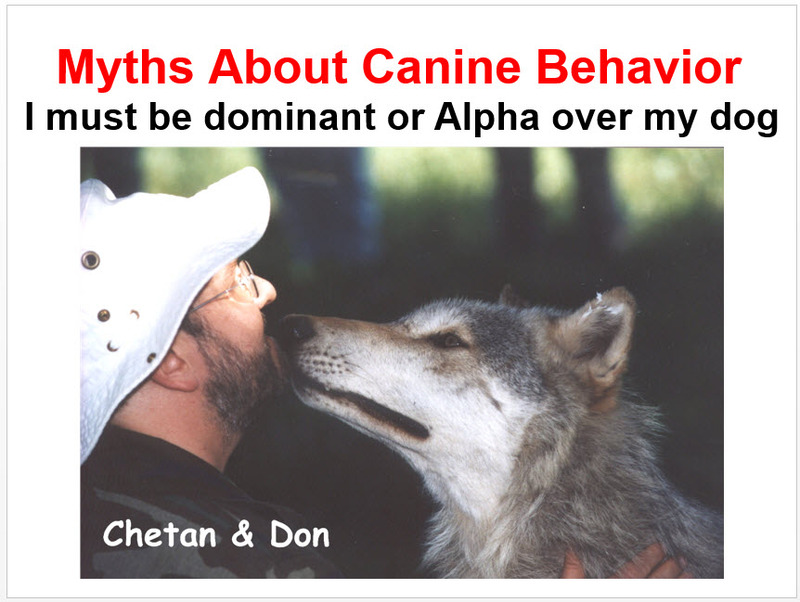 Also related to the myth that the dog is a wolf is the idea that one most show the dog that they are dominant, or the “Alpha” to live in harmony and to prevent the dog from usurping the humans role as leader. This myth, more than any other, has done severe damage to the relationship we can have with dogs because it emphasizes a relationship based on fear, intimidation and training by force. What makes this even sadder, is the whole conflict-ridden alpha/dominance construct is not even true with wolves. As noted above, a wolf pack is all about working together to survive. Unfortunately, when wolf researchers started studying wolves back in the 1940’s they did not study wolves in the wild, but based their conclusions on observations of captive, non-familial wolves that they confined to small spaces. The wolves were totally dependent on humans for the resources necessary to survive. It was more like an episode of Survivor than reality. Alternatively, put another way, roughly analogous to studying a group of prisoners and concluding that their behavior is representative of a normal family. The idea of the dog as a wolf and the dog as a constant “alpha-seeker” exploded in the dog world in the 1970’s due to books written by the Monks of New and Carol Lea Benjamin. These books were the first that I read about dogs and not knowing any better I accepted what them as the truth. They represented a philosophy of dog training that many pet care professionals followed for a long time. 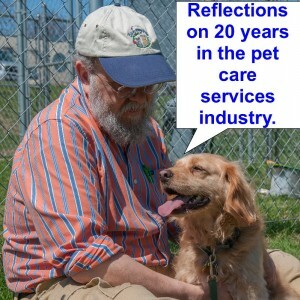 However, for several years more and more pet care professionals and organizations have been spreading the word about the inherent problems in the dominance construct. Today, the American Animal Hospital Association (AAHA), American Veterinary Society of Animal Behavior (AVSAB), the Association of Professional Dog Trainers (APDT) the Pet Professionals Guild (PPG) and Green Acres Kennel Shop all have policy statements on the dangers of the dominance construct. Along with the dominance construct came a variety of aversive tools and training methodologies designed to intimidate the dog and cause discomfort or pain. None of these tools are necessary to successfully train a dog, yet they are still sold and used. Not only are these tools unnecessary, but they can also cause significant behavioral problems when used. 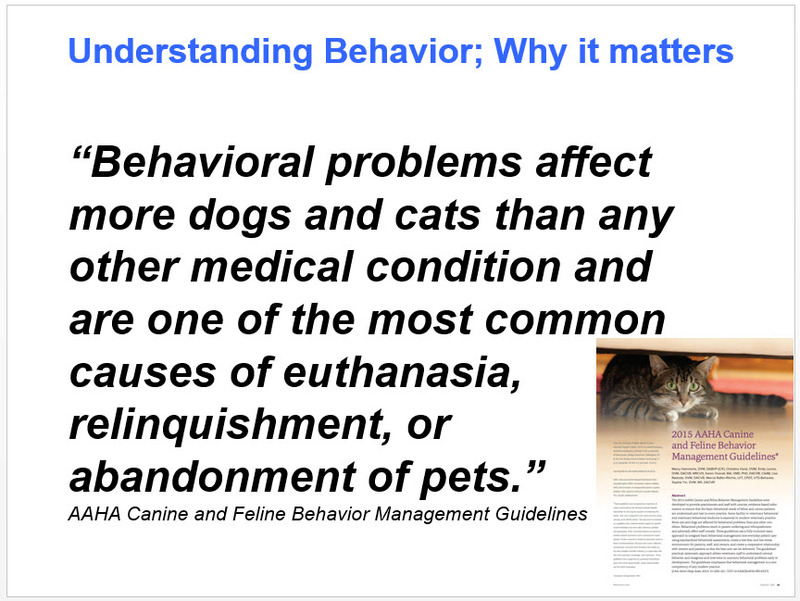 For this reason, the new AAHA behavior guidelines state: “Aversive training has been associated with detrimental effects on the human–animal bond, problem solving ability, and the physical and behavioral health of the patient. It causes problem behaviors in normal animals and hastens progression of behavioral disorders in distressed animals. Aversive techniques include prong (pinch) or choke collars, cattle prods, alpha rolls, dominance downs, electronic shock collars, lunge whips, starving or withholding food, entrapment, and beating.” The guidelines go even further, recommending that veterinarians do NOT refer to trainers and others that use these tools and techniques. It is my hope that organizations such as the Maine Federation of Humane Societies and its members vote to endorse the AAHA guidelines and adopt similar policies for their organizations. 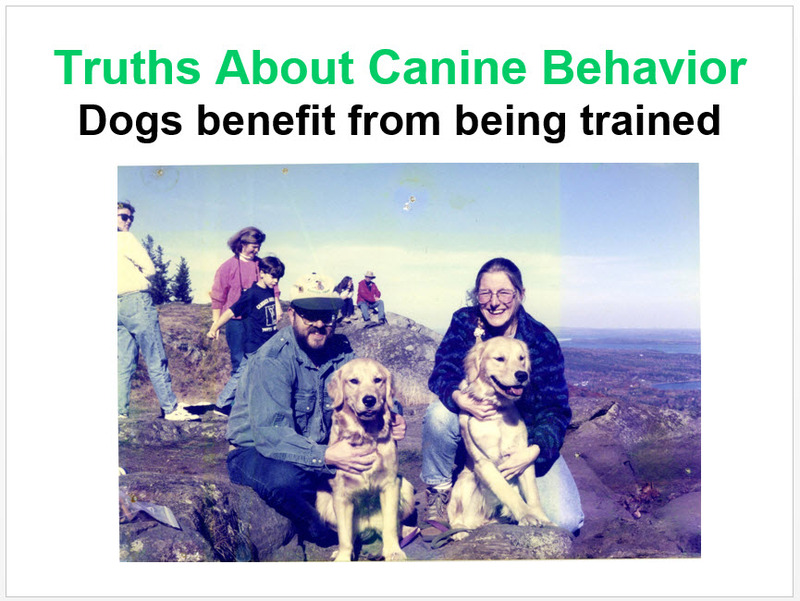 One of the truths about canine behavior is that dogs do benefit from being trained. Sadly, it is estimated that only 5% of dog owners train their dog. 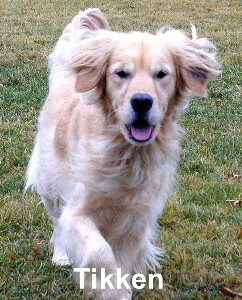 Many dog owners believe that training is only for dogs that participate in dog shows or dog sports. Most people who do train their dog do neither of those things but simply want to help their dog become a well-mannered companion. As a dog trainer. I spend most of my time teaching people how to train their dog to live successfully and happily in a human-centric world. Additionally, I also see clients that have dogs with aggression, resource guarding, or separation anxiety issues. It is rare for one of those dogs to have attended a training class. At the same time, it is also rare to see a graduate from a training class develop a severe behavioral problem such as aggression. So why train a dog? Dogs that are trained: are less likely to develop behavior problems, typically have more freedom and can go more places with us, can be part of family functions, and typically have a closer bond with their people. As someone concerned about animal welfare one of the best recommendations you can make to someone adopting a is to enroll in a reward-based dog training class taught by an appropriately certified professional dog trainer committed to a philosophy of pain-free, force-free, and fear-free pet care. Now if they tell you “I took a class once before and learned all I need to know” feel free to tell them that professional dog trainers still take their dogs to classes. When I adopted my most recent rescue, Muppy, we started in a dog training class just like any other student. I have just touched on a few of the myths and truths about canine behavior. There is a huge amount of urban legend and old spouse tales being circulated about dogs that are just plain ridiculous. The internet and reality TV are full of dog behavior “experts” who are not always that knowledgeable. Just because it is on the internet does not make it true, and “reality” TV is seldom real. Sadly, many people do not understand that. If you are unsure of how to answer a question from a potential adopter, it is much better to say “I do not know” then to continue to circulate wrong information. One of the reasons Kate and I were so excited to talk to you today is because as pet care professionals we feel it is important to teach others entering the field. We regularly present seminars on a wide variety of topics to pet owners and pet care professionals. If you want to learn more, please contact us and we can talk about the programs that we have available. I want to leave you with three challenges today. Never stop learning! We are learning more about animal behavior, husbandry, nutrition, and training all the time. True professionals realize that they do not know it all and continually seek knowledge. Personally commit yourself to pain-free, force-free and fear-free pet care. You can start by joining the Pet Professional Guild (PPG) as a pet owner, it is free! Alternatively, you are a pet care professional so consider joining as a paying member and help support their work. Ask your Executive Director and Board of Directors to join the Pet Professionals Guild and to adopt policies endorsing and supporting: Pain, Free, Force-Free, and Fear-Free pet care and the AAHA Canine and Feline Behavior Management Guidelines. In this weekend’s episode of The Woof Meow Show Don and Kate address questions from listeners; Am I too old to get a dog?, Kissing booths for dogs – bad idea?, What do you think of XYZ brand of dog food?, What do you feed your pets?, and Why is it important to use an accurate measuring cup when feeding my pet? On October 11th, it will be twenty years since my wife Paula, and I closed on Green Acres Kennel Shop, becoming its third owner. Most of the time it seems like that was only yesterday. However, when I pause and take the time to look back, I can list many changes in our profession. Our products and services have changed as have the standards that we follow. 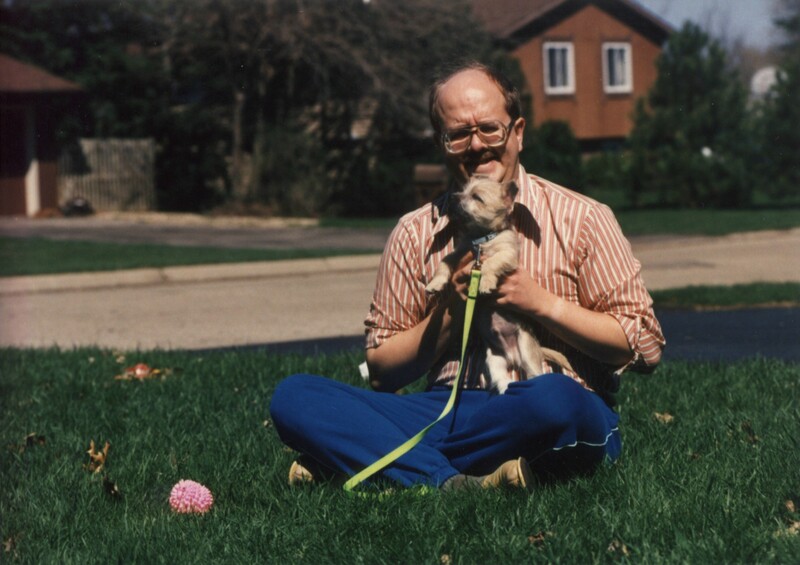 Societal attitudes towards pets have changed, and of course, we have also changed ourselves. For my next few columns, I’ll be sharing my perspective on some of these changes. As we planned our move to Maine and Green Acres, I was looking forward to becoming more involved in dog training. We had taken our dogs to several dog training classes in Wisconsin, and it was something I enjoyed a great deal. Gus, our Cairn Terrier, had several behavioral issues and dealing with those piqued my interest in this companion called the dog. We arrived in Maine in the middle of October 1995. At that time, Green Acres training methods involved lots of verbal encouragement and praise, little or no food rewards, and the use of choke collars and corrections. It was the era of dominance and proving ourselves to be the superior beings and with this attitude, the book we most often recommended was by the Monks of New Skete. The premise of the time was that since we were superior, dogs existed to serve us and do our bidding out of respect (read fear). Science has spoken, and we now understand how erroneous much of the information upon which we based training was; our profession has come a long way in these past 20 years. Early on we recognized the importance of further honing our training skills. I joined the Association of Pet Dog Trainers in 1996, and Kate and I attended an Ian Dunbar training seminar in the summer of 1996. The methods we learned were so very different, and we came away from that seminar excited about incorporating games into our classes and with an interest in trying to use food rewards. 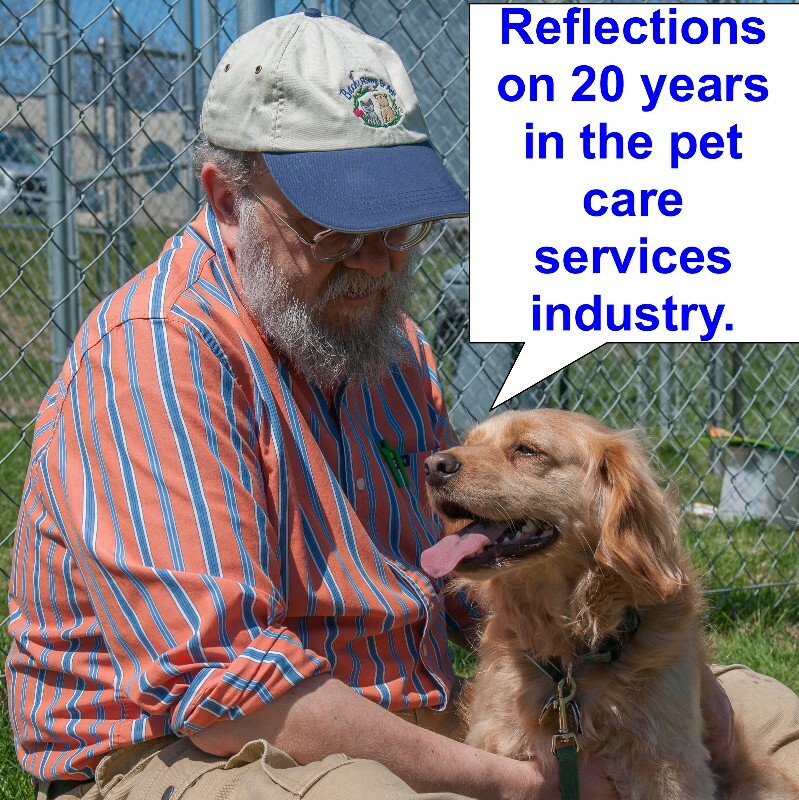 In 1997, with the encouragement of Dr. Dave Cloutier at Veazie Veterinary Clinic, we expanded our classes’ offsite to the Veazie Community Center. This meant we could offer even more classes each week, as we had previously been working out of the retail area after hours. It was at this time that we took on our first assistant trainers; we were now offering more classes than Kate, and I could teach on our own. At the same time we were teaching in Veazie, we began the remodeling of the loft above the store into a training room at Green Acres. Our training room is far from ideal; it is smaller than average. However, working with what we have has kept our class sizes smaller than average and our instructor to student ratio higher than average. Both factors have been of great benefit to our clients. Today we teach as many as 14 classes per week, both inside and outside, the latter dependent on weather. In early 1997, I attended my first seminars on clicker training. These seminars got me experimenting with my new Golden Retriever puppy, Tikken. In June, Tikken and I traveled to upstate NY to attend a Volhard Top Dog Instructor Camp for a week. Their focus was on motivation; not with rewards, but with corrections via a choke collar. It was a frustrating week for me as I was being taught things that I had recently rejected. I learned what I could about student management and instructional techniques, and while I learned a great deal, at night I found myself working with Tikken using my clicker and food rewards. Gus and I continued to train and that summer we were enrolled in one of our advanced classes that Kate, our Operations Manager, was teaching. During recall work, we were to put our dog on a stay at one end of the training field, walk to the other end of the field and call them to us. Gus remained in place, and when I called him he came, but at a snail’s pace. As I recall, we did that exercise twice with the same result. At the end of the class, Kate took me aside and asked “Do you and Gus do anything that’s just fun? He’s clearly not enjoying this, and I can see that you’re disappointed in him. Why don’t you take some time off and stop classes with Gus?” Yes, I had just been kicked out of class by my employee. I am so grateful that Kate had the wisdom and the courage to make that suggestion as it was the best thing that could have happened to the relationship between Gus and me. That was the last training class Gus ever attended. Instead, we played fetch, and I taught him how to do silly things like spin using the clicker and a target stick. After the Volhard experience, I attended another clicker training seminar, and my mind was made up. I was a bit concerned about the reception that I would get from the public, as this was a major shift away from the predominant training methodology in the area. However, in August of 1997 I sent out a press release and received coverage from our friends at the Bangor Daily News. When an article is on the first page of a section, above the fold with a color photo of a dog, people read it. Before the day was over I was getting calls; “How do we sign-up for your clicker training classes?” Still testing the waters, I quickly developed a clicker based curriculum and opened enrollment in Green Acres’ first two clicker classes. At the end of those classes, I no longer wanted to train with aversives; however, from a business perspective I was uncertain that our market would support this kinder and gentler form of training. I knew two other trainers, Gail Fisher and Carolyn Clark, that had made the switch, and they inspired me to do the same. I am glad to say that many years later I had no need to worry. Our training program has grown by leaps and bounds precisely because of our focus on science, kindness, and getting results. In November of 1998, I attended my first APDT Educational Conference and Trade Show, five solid days of learning and networking opportunities. One month later I was invited to join the APDT’s Education Committee by APDT’s founder Dr. Ian Dunbar. The committee developed and implemented the profession’s first certification exam. This was a significant step forward for the dog training industry. The practice of dog training is unlicensed, mostly unregulated and until the release of this examination there was no universally accepted standard of what a dog trainer needed to know. In 2001, I was one of the first Certified Trainers. Since then a total of seven Green Acres’ trainers has been credentialed as Certified Professional Dog Trainers. Four have since moved on to different career paths, but that does not diminish their accomplishment. More and more people are taking steps to ensure that a trainer has a CPDT credential before enrolling their dog in a class. Just the idea that we now have a credentialing body for our industry, where none existed 15 years ago, shows significant growth in our field. So in summary how has dog training changed in the past twenty years? It has become less about art and “secret” techniques and more about evidenced based science. Science has refuted the dominance construct that prescribed the need for having an adversarial relationship with your dog and replaced it with the concept of cooperation and positive reinforcement. The majority of trainers no longer use or recommend harsh punitive-based methods like alpha-rollovers, choke collars, and shock collars but instead use management, clicks, and treats. There are now several independent certification bodies that credential and ensure that those in the profession keep learning. The American Animal Hospital Association (AAHA) has recognized the importance of behavior as part of animal wellness and has taken a very public stand against the use of any aversive tools in training. 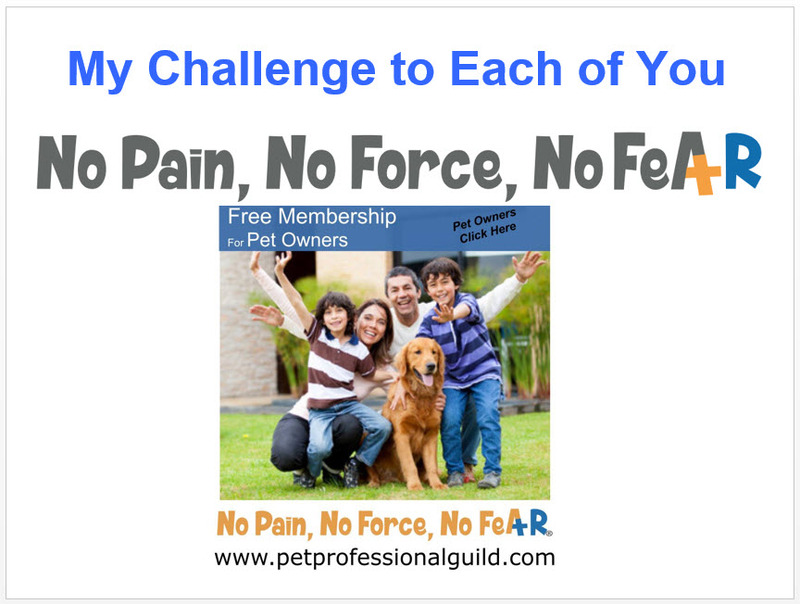 The Pet Professional Guild is building an organization of pet care professional and pet owners committed to “No, Pain, No Force and No Fear” pet care. Dog trainers, scientists, and veterinarians recognize that the dog, as well as other animals, are pretty amazing and more like us than we ever could have imagined. We are moving away from an egocentric understanding of their behavior to one that is more animal-centric, In other words, we have finally realized that as humans, it is NOT all about us. All of us in the dog training profession still have much to learn and to me that is what keeps me going. I cannot wait to immerse myself in the next amazing discovery about the delightful companion that we generically call the dog. Lastly, remember that story about my Cairn Terrier Gus, his unenthusiastic recall, and Kate kicking me out of class? I am happy to say that my current best friend Muppy has a most remarkable recall thanks to what Gus, Shed, Sandy, Dulcie, Crystal, and Tikken have taught me on this journey. Muppy thanks you all for being so patient and kind with me.